If you would like details about our catering services speak with our friendly staff! 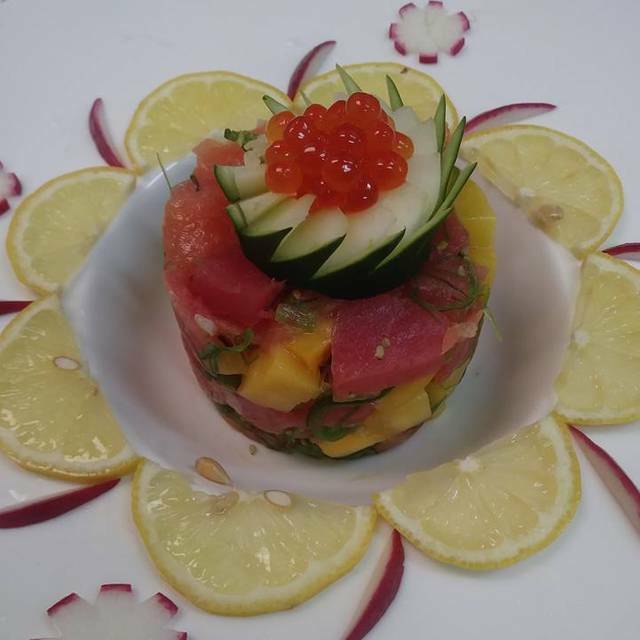 Azu Lucy Ho's is the culmination of Tallahassee legend and restaurateur, Lucy Ho's, over 40 years of experience in serving the best of Chinese, Japanese, Sushi, & Asian Fusion Cuisine. The menu offers an extensive array of classic dishes and delves into more modern fare. 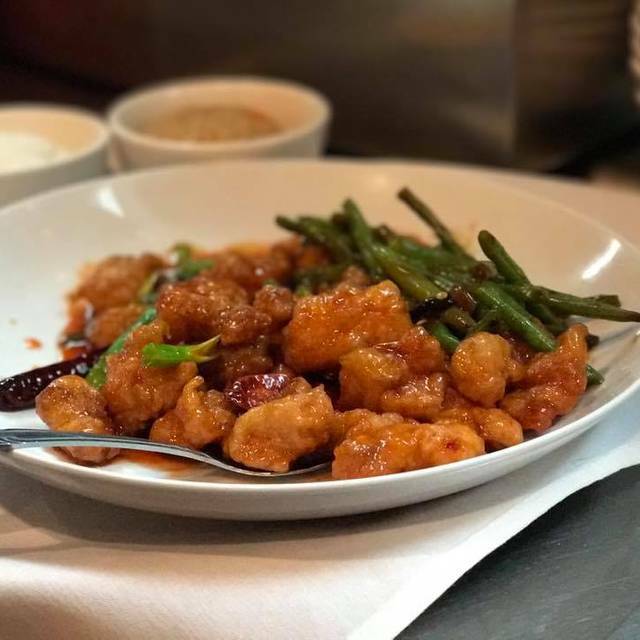 Dishes combine both traditional & new cooking styles and influences from Canton, Sichuan, Peking, Hunan, Taiwan, Japan, and Southeast Asia. We had a reserved room for 20 -- everything was excellent as usual! Food was great and the service was good. Crispy scallops were deliciousd, a bit spicy with TOO much soy sauce with lots of SALT.Noise level was very high and that would keep back from coming again. Best place I've been in a long time. My wife told me about this place so we went for lunch one day and I've been hooked ever since. I love how there's one menu for lunch and one for dinner. Everytime I go there I'm impressed. This is our new date night place and lunch as well. Good food at the right price, with great service for a party of 16. We were celebrating a couple of family birthdays and all live sushi. Table size was adequate and we were on the perimeter so out of traffic. Restaurant is nicely decorated but a bit noisy for conversation. Sushi was good, soups and salads enjoyed, drinks kept refilled. We loved the fried calamari.....I used presentation. Only dish that seemed bland and underwhelming was the Udon noodle dish. Would return! Delicious food and a lovely atmosphere. Too bad there wasn’t a bit more time between courses to enjoy it all. The service was a bit rushed which definitely took away from the experience. I hadn’t finished my appetizer before the salad came. And I was still working on that when the entre came out. The were all so delicious that it would have been nice to savor each one. The Ho family is carrying on a 40+ year tradition of good food served in a pleasant environment by excellent servers. Ours was a birthday celebration on New Years Eve. Fortunately we had reservations but despite the crowd our service was outstanding. We are regulars but still consider every visit to be special. The food was quickly served after being ordered. The server was attentive to our needs through the dining experience. The only downside was when we were leaving we asked a young black woman who was at the front entry if we could have fortune cookies and she was rude towards us saying we would need to wait until she was finished. She then turned to the person behind us who was there for an interview, gave her a message and then walked away. Since I come to the restaurant often, I walked over to the bar area as there are generally cookies there for takeout. I got two cookies and left. As I was leaving I passed by the woman again who had previously brushed me off and she said nothing. This restaurant was great for a birthday dinner. We had the sushi and it was delicious. 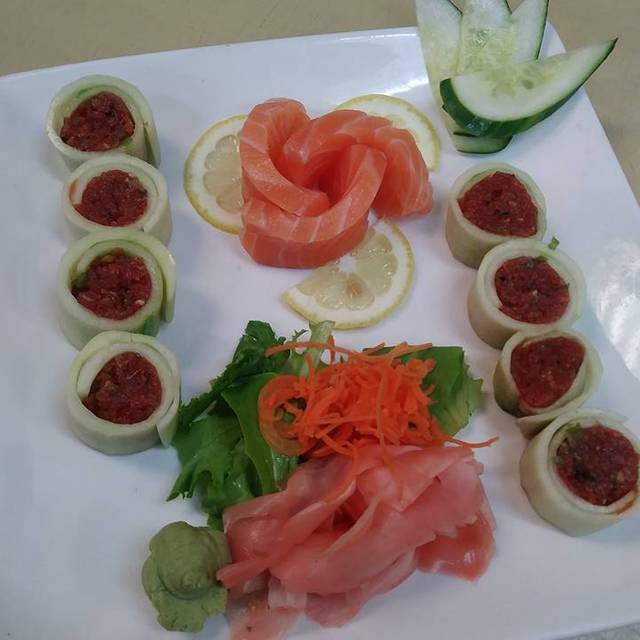 We recommend a speciality roll. Another good experience at Azu. Party of three. Three entrees. Everyone very happy with everything. Service adequate this night—not stellar but not bad. Azu is a great value restaurant in Tallahassee. I don’t think I’ve ever had a bad meal here. Many choices—all done well. The service was very good. The soups (hot and sour and egg drop) were delicious. However, the entrees were mediocre at best. The spicy prawns were drowned in a sweet and sour sauce, nothing spicy. The Peking duck had crispy skin and moist meat, however ‘buns’ weren’t very authentic and the dish was just flat. Loved the menu variety and the food was delicious. I’m visiting from out of town and I’ve already been back three times! We visit Tallahassee several times a year and Azu is on the "Must Stop" list each time. Great friendly service but food was too saucy and not enough vegetables. Large portions though. Terrible service. Had to wait an hour for the food. Quality of the food has degraded from where it used to be. Lucy Ho’s is deservedly a staple of local dining. We were met by a gracious host (nice touch) and seated immediately. The food options are many. Four of us each ordered something different and all were very happy with our choices. Service was attentive and helpful without being intrusive (good training of servers really helps the restaurant experience—so, kudos to management). All-in-all a very nice dining experience. Wow! Hawaiian Poke appetizer unbelievable! General Tsao's chicken amazing! Service phenomenal... Attentive without being intrusive. All staff working magically as a team making this a dining experience well worth returning for. We had a great meal at Azu! All of our dishes we great and the service was spot on. This was the first time we have gone to Azu since Dao opened (closer to our house). We found the service to be better at Azu. Consistent food and good for people with different tastes or needs. Service was excellent. We lingered a bit and never felt rushed. Good sized portions too. 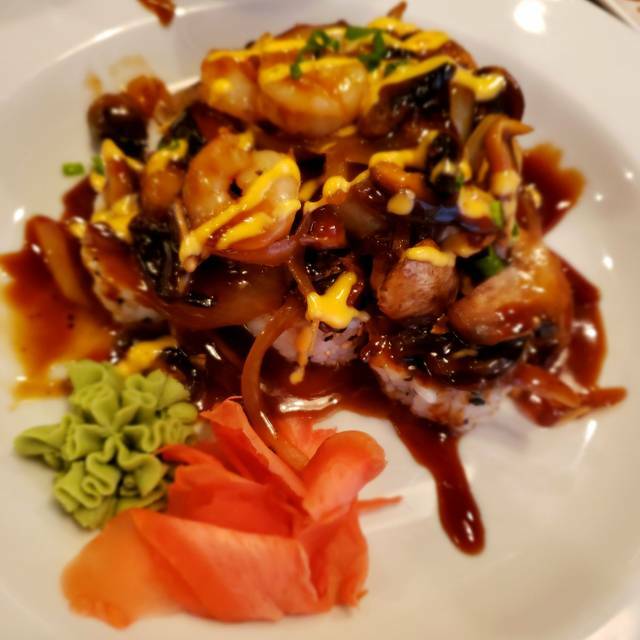 Took sushi home for my daughter and she says it is some of the area’s best. We always enjoy coming to Lucy Ho's. It is a favorite! We will be back! Average to mediocre Japanese food. Sakura is head and shoulders above. Great Fathers Day Dinner, Great Food and Service as usual!!! The food was made pretty fast and it all tasted very delicious! We went to Lucy Ho's for a bureau birthday lunch. It was pretty good. It was my first time going. They have a lot of options for sushi rolls. I like raw sushi and their salmon was great. They have a lot of cooked options as well, including cooked sushi rolls, for people who don't prefer raw food. I look forward to going there again. When I walked in I was a bit shocked by the appearance. It does not look as fancy as it is on the website...actually not even close. However, the services was exceptional and they were so accommodating. The food was great. We don't get to this restaurant much since we live in Tampa. However, if we are in Tallahassee it is a must go spot. We go there often. My daughter loves the sushi; granddaughter loves the edamame and the kids meal; mom likes the portions (always some to take home!). The food is consistent and very good. It can get a little loud, but have been there many times with a group of women and we’ve had no problem enjoying conversation. Service was prompt and not overbearing. Azu is one of my favorite places to eat in Tallahassee - it is always my got o spot when I want to go out! The server ("Briya," I think) was grumpy and not helpful to my daughter at all about vegetarian dishes, but after I spoke to Manager Wayne, she improved. If I eat there again, I will request a different server, because she just didn't show the gracious hospitality Lucy Ho's restaurants are known for. The salmon I ordered as "rare" came to me as "medium" or "medium rare" but I decided it tasted good enough that I didn't want to complain about it. We were celebrating my daughter's 18th birthday, and this was one of our favorite restaurants. Wayne's attentiveness was superb and the food was as delicious as always. Overall, we had a terrific evening! Thanks for soliciting our feedback. 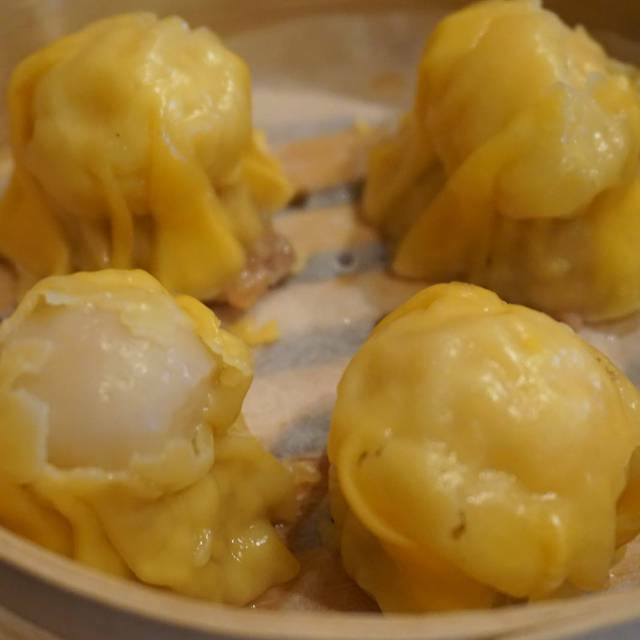 Dim Sum on Saturdays is awesome. Chloe is the very best server. Professional, cheerful and attentive. Azu is our favorite sushi in Tallahassee!